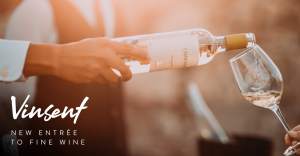 TEL AVIV, ISRAEL, April 3, 2019 /EINPresswire.com/ -- Glassbox, the leading enterprise Digital Customer Management solution provider, today announced that its recently launched Mobilebox technology is now being used by fine wine merchant app Vinsent. Mobilebox is a one-stop-shop solution that helps enterprises understand their mobile apps from every possible angle: adoption, performance and customer experience. Vinsent offers wine lovers the opportunity to purchase wines directly from wineries months after harvest (i.e. wine futures) and get the latest updates from the winemakers themselves. With plans to expand in 2019, Vinsent now offers consumers the ability to purchase from a library of over 20 wines through a pilot group of 10 curated wineries in Spain, Italy, Israel and the United States. Glassbox empowers organizations to manage and optimize the entire digital lifecycle of their web and mobile Customers. By leveraging unparalleled big data, behavioural analytics, session replay, free-text search and application monitoring capabilities, Glassbox enables enterprises to see not only what online and mobile Customers are doing but also why they are doing it. Most importantly, Glassbox informs and facilitates action based on those insights that can lead to enhanced Customer experience, faster Customer disputes resolution, improved regulatory compliance and agile IT troubleshooting. Glassbox’s solutions are used by medium to very large enterprises mostly in the telecommunications and financial services and insurance industries and could cater to the needs of a wide range of verticals including healthcare, travel, hospitality and business services. Vinsent is a marketplace that gives wine lovers a unique experience to partner directly with leading wineries around the world. With Vinsent wine lovers can purchase wines months after harvest (i.e. wine futures) and get the latest updates about their wines from the winemakers themselves. By enabling wineries to easily offer wine futures direct to consumers, wineries can now enjoy early cash flow and build long-lasting loyalty with their end consumers.